This comment is disappointing: We are in Africa to "teach them how to respect human rights". One of the things I was hoping for from the current administration was less international involvement. Less the USA being the world-police. That was one of the valid points Trump made in his U.N. speech. I made this point related to North Korea (stopping them from developing Nukes and long range missiles is NOT a direct US issue and the USA was doing 99% of the work the U.N. refused to do. Also with regards to Syria (where the USA should have stayed out of their civil war). Here the current admin got it right. So Kelly, which is it???? This admin clearly doesn't have a consistent foreign policy. 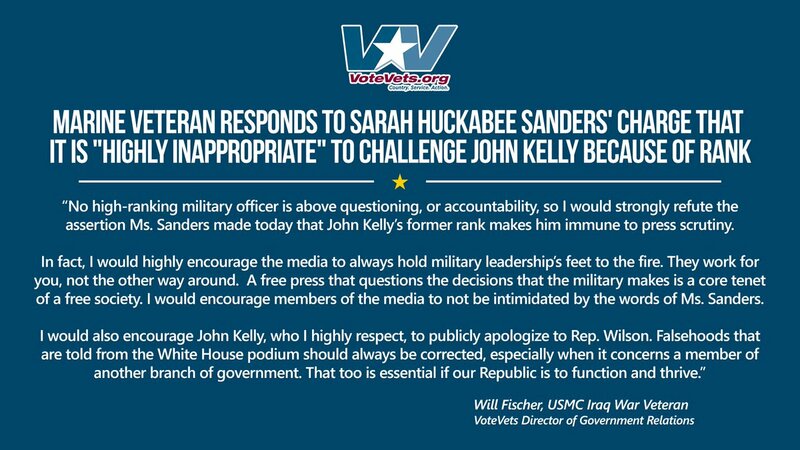 USMC Iraq Veteran @will_c_fischer to @PressSec: "I would highly encourage the media to always hold military leadership’s feet to the fire." Kelly tried to defend a lying president with more lies. Kelly said Congresswoman Wilson Was An " Empty Barrel ". Well, I think Kelly is "scraping at the bottom of the barrel" to defend trump's lies with more lies. 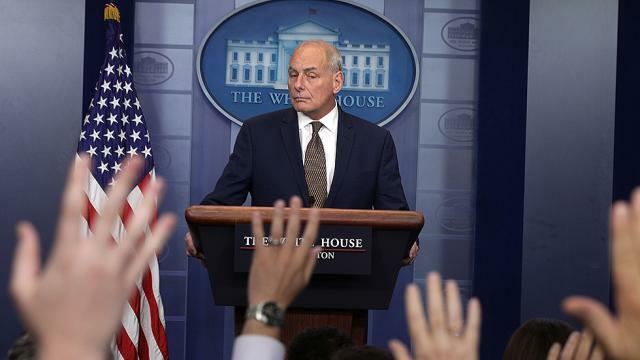 "...It is jarring to listen to Kelly’s description of Wilson’s behavior and then hear the entirely respectful and generous remarks she actually delivered. The contrast gives us a chance to see just how much the White House chief of staff’s perception of reality, like that of his boss, seems to be distorted by a free-floating and wide-ranging resentment at how modern American society has changed from the imagined paradise they grew up in in the 1950s." 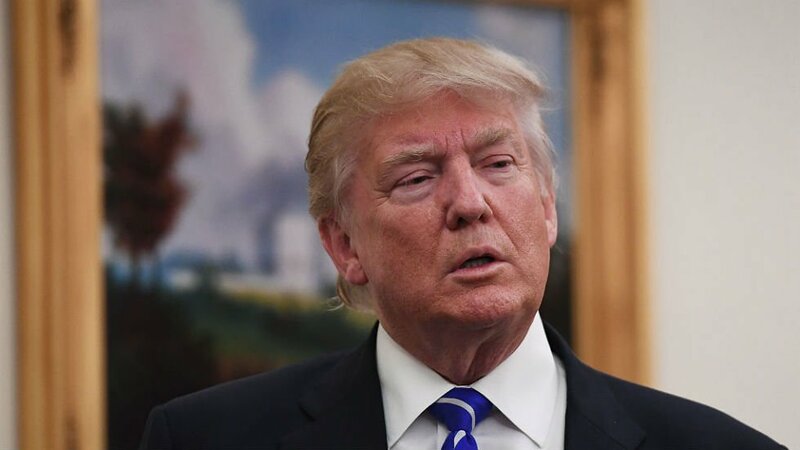 Politicizing Gold Star Families-- The Shame. Donny "The Check Is In The Mail" Trump. John Kelly is Michael Flynn with better table manners. @tinyrevolution on how Trump's generals are part of problem, not saving us from it. .....even before Kelly’s ugly performance Thursday, there was no reason to hope he would put any kind of brake on Trump. 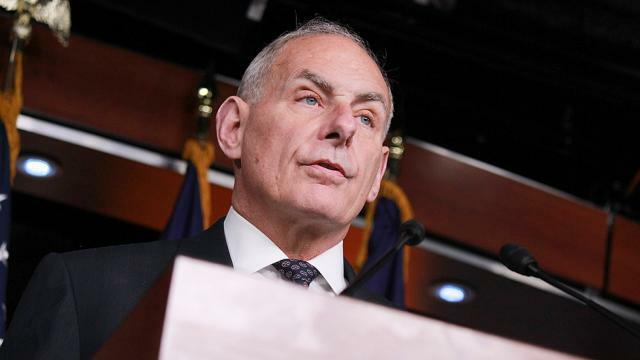 Kelly may be personally far more palatable; he’s certainly no mewling coward like Trump and has unquestionably put his life where his mouth is. That goes for his children as well .......even as Trump’s kids are the living embodiment of every criticism Kelly makes about U.S. society. We agree. John Kelly must apologize and correct the record. Every day he doesn't, his legacy and trustworthiness badly erode. -no more chance of that than seeing ANY Trump apology about ANYthing! AND that Female Marines being raped in the Marine Corps are being held sacred. BTW-- and that you can't criticize him or argue with him because he's a four-star general. I guess we're finally seeing some limitations on the white male privilege of even a four-star general. So is Wilson saying that Hillary Clinton made made mistakes with regards to Benghazi and then tried to cover up those mistakes by lying to Congress and this is why N-i-g-e-r is Trump's Benghazi? Because if not (I.e. Wilson believes Clinton was unfairly targeted with regards to Benghazi), then she must also believes Trump and his admin are being unfairly targeted with regards to N-i-g-e-r (otherwise why compare the two). You can’t profess to be upholding some “sacred” set of ideals when you’re defending a guy who holds absolutely nothing sacred. This is what they're saying about Kelly. Nope. No. We're not doing this. Slavery. Slavery was what they wouldn't compromise over. okay to kill tens of thousands of people. These were Central American immigrants who came here as Asylum Seekers due to natural disaster and/or bloody civil unrest. These immigrants are from Honduras; therefore most of them would be classified as mestizos--not white people. They have been in this country for around 20 years and have caused no problems. She simply declined to make a final decision, which automatically gave the Hondurans 6 more months of extended residency. So it's okay to throw these people out because, after all, they 'don't look like real Americans anyway'. Kelly fits right in with trump's bigotry and I doubt that he's going to be much of a humanizing influence on him in the future. couldn't be. liberals including their news media support our military. I wasn't aware we're not allowed to criticize the generals. Also Kelly is not a general anymore he's in the Administration and he's fair game. How many people in America still wish that we had criticized General Westmoreland and General Curtis LeMay a little more. Empty Barrel Kelly is a racist. 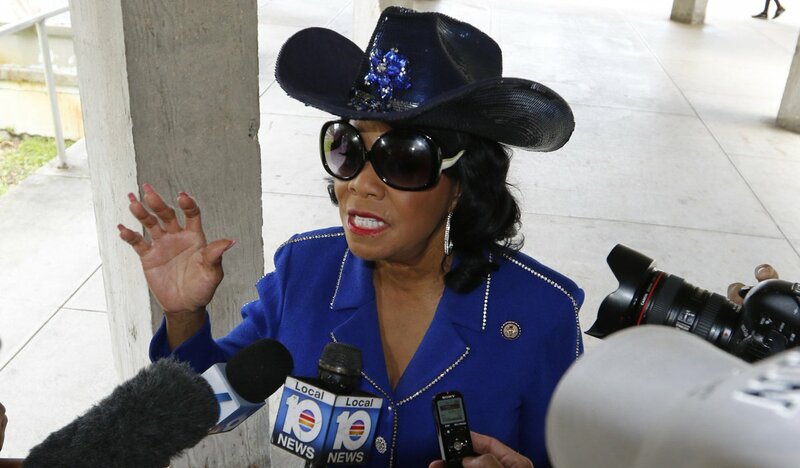 First it was the black Congresswoman Frederica Wilson who was An Empty Barrel, according to John Kelly because she was a grandstander and a liar. But it turns out that John Kelly was the liar and the grandstander, who never apologized for slandering this public servant. Now Kelly has found a new Empty Barrel in the DACA Generation, who are all Latinos and, for the most part, of Mexican ethnicity. Kelly's racism and bigotry is transparent, just as that of his boss-- two bigoted peas in a pod. 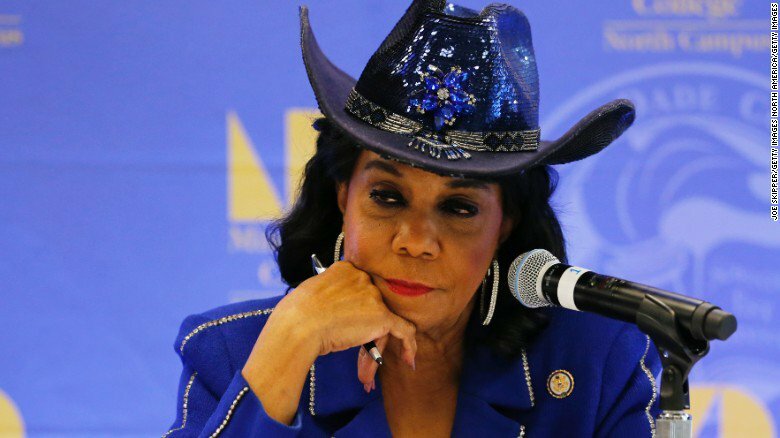 The only Empty Barrel in all this is the racist Kelly. His own people came over here on ships trying to flee the Irish Potato Famine in the nineteenth century.